Embedded Minilyrics integrates MiniLyrics in MediaMonkey. MiniLyrics is a nice and advanced lyrics player that supports all major lyrics formats, has various options to display timestamped lyrics, and has a huge online lyrics database. It is skinnable and can automatically download lyrics and save them to the tags of mp3 files, or to separate text files. Important notice: apparently the newer versions of MiniLyrics can embed themselves in MediaMonkey, so instead of following the instructions below, please first read this Minilyrics page (you should be able to skip the 1st step there). The purpose of this script is to integrate MiniLyrics in MediaMonkey, as dockable panel. Make sure that MiniLyrics is properly installed and configured to start together with MediaMonkey. Download and run the MiniLyrics Embedder installer (v1.4b). (Re)start MediaMonkey. MiniLyrics Embedder automatically starts and creates a dockable panel with MiniLyrics embedded in it. A menu item (microphone icon) is added to the View menu, so you can show/hide the MiniLyrics dockable panel. Right click the MiniLyrics icon in the system tray (image). Click "skins" and change the skin to plain or some other skin that doesn't use translucency (not the default skin). Make sure that "always on top" is disabled in MiniLyrics. The embedded Minilyrics should now show lyrics and work properly. You can right click for further customization of MiniLyrics within Media Monkey. Look here if you want to hide the caption of the dockable panel. If everything went fine but the new panel is blank, then change the Minilyrics skin to something that isn't translucent (e.g. the "plain" skin). Make sure that in MiniLyrics preferences, transparency is set to 0% (off) and "always on top" is disabled. The MiniLyrics settings can be changed though its system tray icon (right-click on it). When lyrics shown in MiniLyrics don't show up in MediaMonkey, then in the MiniLyrics preferences enable "Save lyrics in mp3 file" and choose (at least) ID3v2 Unsynchronized. You need to either rescan the files with added lyrics (File > Add/rescan), or let MediaMonkey do this automatically using the File Monitor (Options > File Monitor) so that the tracks in MM are updated with the new tags changed by Minilyrics. You have to wait until the track stops playing and a new track starts to play, before Minilyrics can tag the file. If you get an error "MiniLyrics couldn't be embedded", then make sure that MiniLyrics is running and is visible (not minimized) when MediaMonkey starts. Also make sure you try with the dockable panel visible. If the "Embedded MiniLyrics" dockable panel isn't visible (e.g. you accidentally closed it by clicking X), then you should be able to get it back through MediaMonkey's View menu. If you get an error that your computer doesn't have the msvcr71.dll file (Microsoft Visual C 7.1 Runtime), you can download it here. Then put it in your Windows System32 folder (or SysWoW64 folder if you're using a Windows 64 bit version) and restart MediaMonkey. The MiniLyrics window automaticly resizes if you resize the dockable panel. The script also repositions and resizes the embedded MiniLyrics window every second (1000 ms), by default. 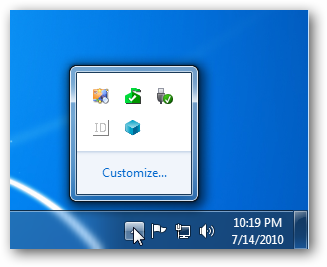 The add-on can be removed via Add/remove Programs in the Windows control panel. Last edited by Steegy on Sat Oct 19, 2013 4:54 am, edited 20 times in total. nitpicking but, i really wish i could hide the titlebar. I know. This is currently a limitation of the scripting possibilities. I have mentioned this in the scripting wishlist already, so hopefully this will be "fixed" soon. I know. There's no way around it, because it's a limitation of the forum software phpBB2. This problem occurs because I use filenames with spaces in. If I don't use the [url] syntax, an automatic (faulty) url is created (url stops at the spaces). When I do use the [url] or [url=blablabla] syntax, you see what is the result. So I use the most correct and short version. Maybe I'll remove the spaces from the filenames, so this problem disappears. But now at least the problem "is unveiled". Thank you, ir works perfectly here. Great work. I get an error message: "Error #1014 - Microsoft VBScript Compilation error Expected 'End' Sub reposition and resize..."
I don't know. I never had any errors with this script. When does this error happen for you? The only thing I can say is that the script probably needs MM 2.5.2 (or even MM 2.5.3) or higher. Are you using a recent version of MediaMonkey? From the error message you gave, it seems that there is a "compilation error", but everything seems fine in the script. Maybe there's something corrupt in the script runtime, or it's outdated. This is very unlikely, but I don't know anything else why it should give compile errors. Maybe the download of the vbs script got corrupted? Maybe downloading again will help. Or check the file to see if everything looks "good". Otherwise, can you PM me with a screenshot of the error boxes please, so I can see what exactly the messages are? I am using the latest version of mm 5.2.3xx. Frankly, I wouldn't be able to tell if the file looks "good". I have now programming ability whatsoever. I've already removed the script - not that big a deal for me at this point. Thanks for trying to help me out. I appreciate it. I reloaded the files and it now works. Who knows what i did wrong the first time. Works great. Great that you've got it working ! This does matter. Minilyrics can only read/write the id3 lyrics tags for mp3 files. (And before you're asking: the ugly Eviltagger alternative also only supports mp3's). From my personal experience, tagging lyrics for mp3's works great, but unfortunately it's not applicable for you. You can however just let the program save the lyrics (scrolling and non-scrolling) to separate lyrics files. The only problem with that is that portable players probably can't read these files (but they probably can't read wma's lyrics tags either anyway).